1-gang 20 cu." non-metallic Adjust-A-Box residential floor box kit with tamper-resistant duplex receptacle and ivory cover. 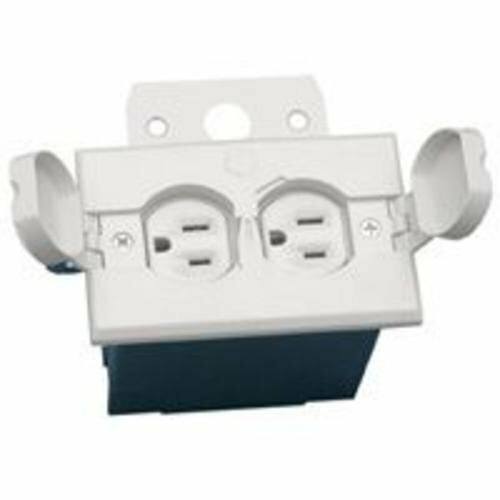 Leviton 42777-2GA Surface Mount Backbox, Dual Gang, Grey, 1.89"